Looking to move your dry bulk materials from one mode to another? You’ve found the right place. With 3 strategic locations and over 400,000 square feet of warehouse capacity, we have the Southeast covered. Want to off-load the burden of coordinating and managing your freight shipments? 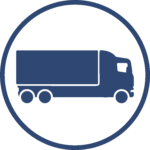 Our goal is to simplify logistics and give you peace of mind. 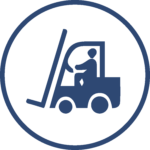 At Pax, we specialize in the transloading and handling of plastic resins, whether they be in railcar, bulk truck, or package form. With more than 25 years of experience in warehousing and logistics, Pax is built to handle the specific challenges of modern-day distribution with the reliability and consistency of an industry veteran. In the Pax philosophy, the best way to serve our interests is through the service of others. This translates not only to our relationships with our customers, but with our vendors and our employees. We believe that fostering these positive, mutual partnerships leads to the best possible experience for you. We pride ourselves on our prompt and savvy customer care. At Pax, your dedicated account specialist will work with you every step of the way to make sure your needs are met. 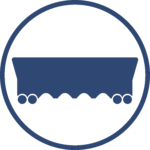 From arranging freight coverage for your shipments, to repackaging material, to unloading railcars and more, your account specialist is your one stop shop for all your needs.